However, this is no longer true on microscopic scales - quantum particles can partially go into reverse and travel in the direction opposite to their momentum. This unique property is known as 'backflow'. 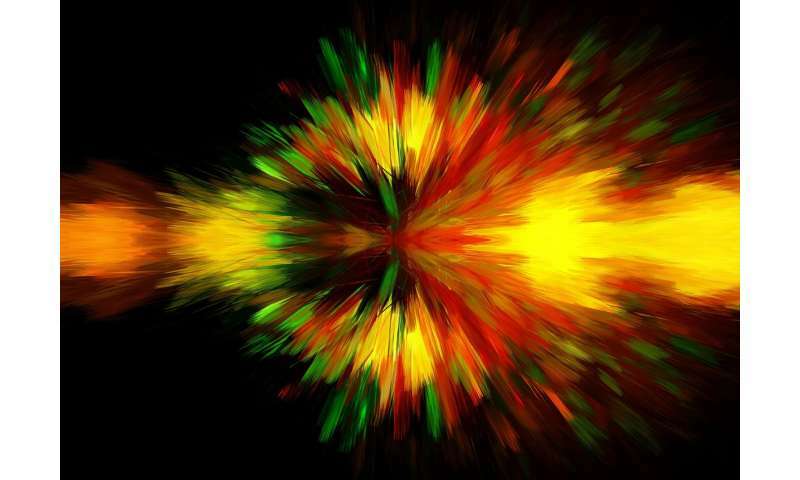 Dr Henning Bostelmann, Researcher in York's Department of Mathematics, said: "This new theoretical analysis into quantum mechanical particles shows that this 'backflow' effect is ubiquitous in quantum physics. Dr Gandalf Lechner, Researcher in Cardiff's University's School of Mathematics, said: "Forces can of course make a particle go backwards - that is, they can reflect it, and this naturally leads to increased backflow. But we could show that even in a completely reflection-free medium, backflow occurs. In the presence of reflection, on the other hand, we found that backflow remains a small effect, and estimated its magnitude." Dr Daniela Cadamuro, Researcher at the Technical University of Munich, said: "The backflow effect in quantum mechanics has been known for quite a while, but it has always been discussed in regards to 'free' quantum particles, i.e., no external forces are acting on the particle. "As 'free' quantum particles are an idealised, perhaps unrealistic situation, we have shown that backflow still occurs when external forces are present. This means that external forces don't destroy the backflow effect, which is an exciting new discovery." "...they can move in the opposite way to the direction in which they are being pushed." This supports my hypothesis that coupling effects among periodic oscillators (2 or many) underlie all forms of coherent matter. Including, most importantly, quantum mechanics. This backflow or pushback increases the flow of information between and among quantum mechanical particles. The information flow runs two ways--signals flow in both directions. I have proposed this theory, or hypothesis, in many Physorg posts to explain "unexpected" self-organization in a variety of contexts in physics. Huygens, circa 1660, noted the "odd sympathy" when two of his clocks synchronized their pendulums. Circa 1967, Art Winfree proposed a fuller theory of coupled periodic oscillators, but he applied his idea to biology, not physics. So many armchair experts, legends in their own lunchtimes. I can't tell from the article whether it was observed, or merely mathmetized, but I see 3 explanations for why: void effect--as particle moves there is a void behind it that exerts force to fill it (but I don't know accepted physics model that accepts the existence of void); globular dynamics--qp acts globular, develops spin and deformation to wobble to & fro; polarized force, or push-pull effect observed with gravitational force, causing the disequilibrium of the two forces acting on the particle. All said, in explosive forces with many particles there is always 'swirly' that pull and push particles in back flow patterns; the only explanation for this would be the pull of the void left by the explosion. btw-this also explains the oscilation observed (as covered by another article). As I illustrated above, if we constrain the motion of particle to a lower number of dimension, its pilot wave will get breathing mode of solitons so called quantum Zitterbewegung - these changes will become time reversible and as such periodic." But, reducing to 2 dimensions makes the particle unobservable, perhaps even non-existent. If reality is actually only 2 dimensional, then it would hold true, but the observable reality is dependent on more than 2 (many more). Still, if your 2 dimensions made a brane effect upon the particle that cannot be explained in our reality, then there could be crossover effect caused by this 2 dimensional, sub-world brane. Well we can't use Pilot Wave theory as it isn't Relativistic. No need to lower it's dimension either as the article states A LINE. We DO need to keep in mind Quantum Field theory, so the first post regarding oscillators isn't too bad. As to coupling of oscillators, well I'm unsure if there is a Quantum Version of that, but perhaps coupling to other fields is what we are talking about. I can't read behind the pay wall, but I'm wondering if this is like Group vs Phase velocity for light waves, but applied to matter waves??? Or perhaps like cars on a freeway and someone out front slows down rapidly but doesn't come to a standstill. This causes all the cars behind to slow down. An overhead observer will see that ALL cars are moving FORWARD, but there is a backward travelling wave as each car in turn applies the brakes. Anyway, individual velocity is irrelevant, it's momentum that is the important property. Note that backflow does not mean that any kind of conservation laws are broken. there is simply a chance that for small time intervals a net backflow exists (and the way I read there's an upper bound on that average time interval...and thereby also on the averaged spatial interval). They note the effect is probably connected to Uncertainty. So, this should technically give more validity to QVT, correct? Fun comment Physman. I laughed myself. But this is not about me. The idea and the credit belong entirely to Art Winfree, as I have made clear in many posts on Physorg. His math is well vetted (Steve Strogatz of Sync; Ian Stewart and many others). The application of his idea to biology is well established (Bard Ermentrout and many others). There is thus a reasonable basis for believing that Art's idea might extend to physics. You are of course right to be skeptical. I appreciate your challenge. the effect is probably connected to Uncertainty. Worth mentioning here that this is also probably linked to the Fluctuation Theorem and may turn out to be central to it.